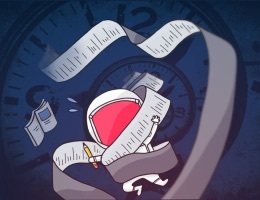 Having a link to the original message in the notes of the task in your task manager allows you to quickly jump straight to the message you need to take action on and then check it off. Having a link to the original message in your reference file (like Evernote) can be very handy when trying to find information quickly and share it with the rest of your team or organization. 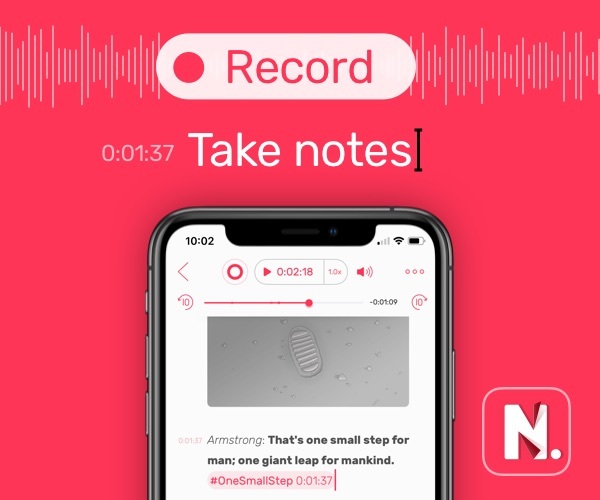 Having a link to the original message in a calendar app can help provide more context for the meeting, especially if the other party didn’t provide any additional notes or details. When you use a link to a specific email message, it allows you to go straight to that message and bypass the rest of your email. That means you won’t get distracted by what might have appeared in your inbox since you last looked, and you are free to focus on the thing that you need to take action on. It also means you don’t need to search through your archive or dig through project folders to find the exact message. Believe it or not, this URL format tells your Mac exactly which message you’re trying to reference. There’s really only two parts to this complicated-looking URL: 1) the “message:” prefix that tells your Mac that this is an email, and 2) the Message ID that tells it exactly which email to pull up. Once you know how to locate these unique Message IDs for the email messages you want to reference, you can create links that allow you to open the messages directly without having to look through your email client to find it. 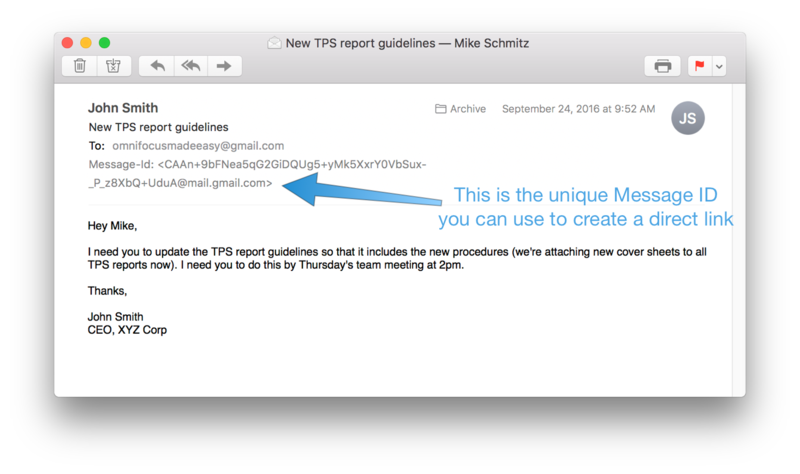 Different email clients have different ways of finding these message-specific URLs, so let’s take a look at Apple Mail first. In Mail.app, click Mail → Preferences. Select the Viewing tab in the Preferences window. Choose Custom from the Show header detail pop-up menu. Click the plus (+) symbol in the lower-left corner, then enter “Message-ID” in the space provided and click “OK” to save. Now, when you view an email in Apple Mail, you will see the “Message-ID” field. 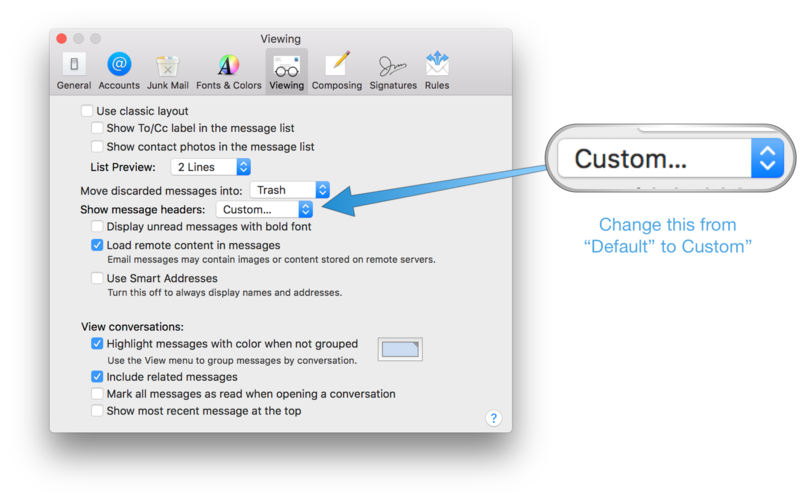 set urlText to "message://" & "%3c" & messageid & "%3e"
There are a couple different formats that will work on your Mac. Here’s a Daring Fireball post that explains the different message URL formats. With a little tinkering, you’ll be able to easily copy the message ID from Mail for easy reference later. Select the message for which you want the URL. Click Edit → Copy Message Link, or hit the keyboard shortcut: ⌃ ⌥ ⌘ C.
Paste the URL where you want the direct message link to appear. For most instances where you’d want a link to the original message, Airmail provides an even simpler way to implement these direct message URLs. 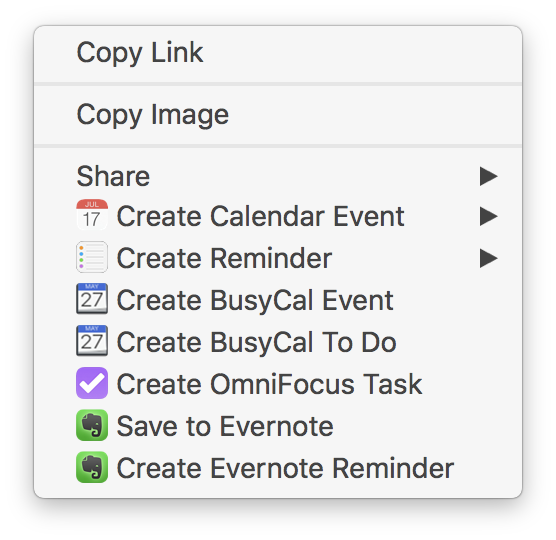 Airmail integrates directly with other productivity apps, so if you wanted to include the link in a calendar event or a task in your task manager, all you have to do is right-click the selected message and select the appropriate app from the list. You can also get the link to the message via this contextual menu. 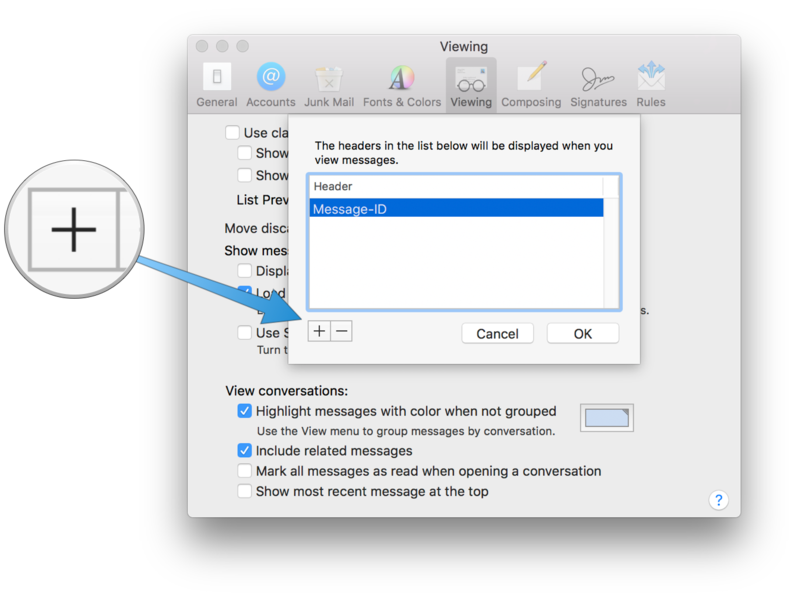 In Airmail, click Airmail → Preferences. 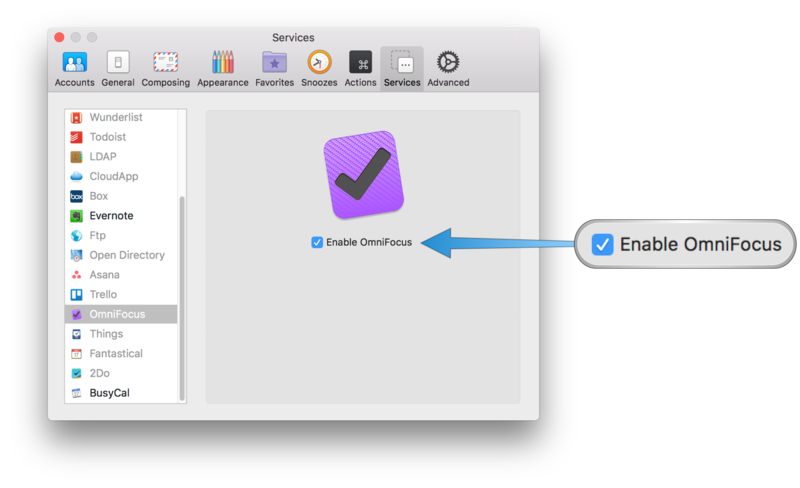 Select the services you want to use inside Airmail and make sure they are enabled. Once you have your favorite productivity apps enabled, you can quickly and easily send email messages directly to them. This isn’t a big deal if you use Airmail as your default email client, but it’s important to know that it’s not using the Mac’s default message URL scheme. If you’re just kicking the tires on Airmail, you might want to decide whether you want to use it long-term before creating a bunch of direct message URLs that you won’t be able to use if you decide to move away from Airmail in the future. Once you have the process of obtaining message URLs, your options open up significantly for keeping your inbox clean and feeling confident that items aren’t falling through the cracks.